Listening to my favourite Neil Prendeville show on Red Fm a couple of days back I heard from a lady who had fostered 32 children, yes you read right, 32 kids! She narrated a lot about her personal struggles, suffering from one ailment to the other, she had depression every now and then which made her seek companionship. But she didn’t want a companion just for mutual benefits, nope, far from that, she wanted to care selflessly for others. So she chose to foster homeless kids and in so doing focused more on teenagers. Why? Because they are more difficult and many adults don’t take them in. Her conversation with Neil was quite a story, she said that some of the kids stayed with her for as long as seven years and some for just two weeks but guess what? She is still in touch with all of them and some still come to visit her and spend a week. Then she got very emotional when asked how it felt saying goodbye each time a foster kid is leaving. I was moved, but then I also got inspired. You see, there are several ways for us to show that milk of human kindness that we often feign ignorance of. We are aware but often rationalise that pretence with our busy schedule. How much have you contributed to humanity? This is a question many ask themselves regularly but do so little about solving. 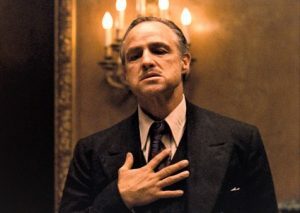 So after listening to that programme, I decided that I will start by being a better godfather to all my godchildren. It is something I had been telling myself for a few years now. Its also not that I ‘ve not been trying but in comparison with a lady who perhaps never knew the parents of the kids she fostered then my deeds become rather minuscule. It’s always an honour to be called upon by a friend to be their child’s godparent. As a matter of fact, that very act should tell you that not only do they have tremendous respect for you, they also value your friendship and trust you to raise their kid in their absence. My godfather was a handsome kind man from Asaba, and frankly, Asaba people are one of the nicest Nigerians you will come across. He mentored my dad and helped him climb the ladder in UTC. I remember all the niceties I got from him growing up but unfortunately, I was only able to pay him a few visits as an adult before he passed on. Now I wish I had done more to appreciate him. May his soul continue to rest in peace. The practice of choosing a godparent in the early Christian church started as the need arose to provide converts, usually non- Christian adults, with a mentor to guide them as they are baptised into the new faith. The godparent was duty bound to teach them about their new faith and also to assist in difficult times of doubt and confusion. Along the line, the role was extended to infant baptism in which Christian adults were called upon to assist the new parents in raising their child in a similar manner. I have nine godchildren and in a few months, my first godson will be 16, which makes him eligible to become a godparent himself. How often do we communicate? How much knowledge have I imparted on him just in case he is called upon to be a godfather soon? How much have I taught him and others about the good book? Does it end with birthday gifts? These and many more questions nagged as I reminisced about that radio conversation. Well, I have decided to act. I have started by compiling the birth dates of all my godchildren, they have gone into my google calendar. Thank goodness for that perpetual reminder. Henceforth, I intend to pray for them regularly, call them or send gifts on their birthdays and send a good book every now and then to guide them spiritually. I will do more as the spirit directs me. I beseech fellow godparents and parents alike to help sustain this fading custom as society evolves in the tedious lifestyle of survival and selfishness. What better way to live a more meaningful life than to allocate some resources to positively influence kids? If I can, you can. How about that? 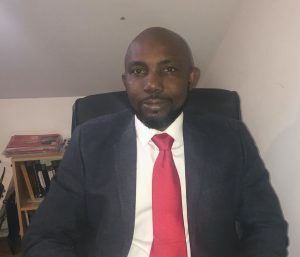 Previous article Scholarship for Nigerian students in Ireland. 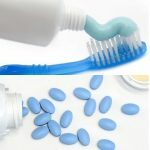 Next article Before you buy viagra, buy toothpaste! 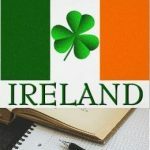 Scholarship for Nigerian students in Ireland. Before you buy viagra, buy toothpaste!